We had an incredible start to Dish of the Month in January, a big thank you from me and Sue at A little bit of heaven on a plate to all who took part. The full round up of the recipes from January can be seen HERE. 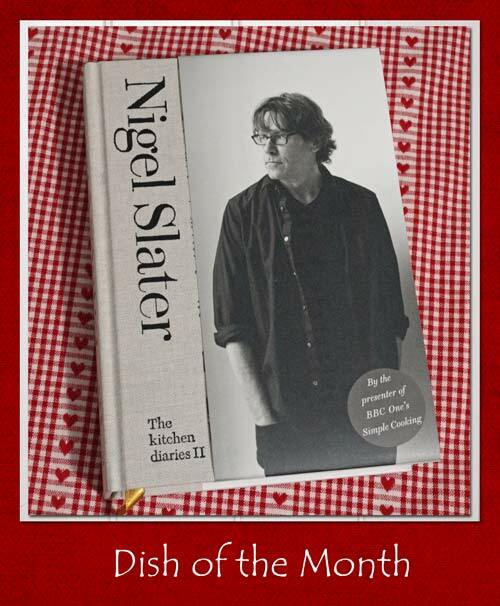 Dish of the Month is a blog event to celebrate the recipes of the generous and charming, Nigel Slater. 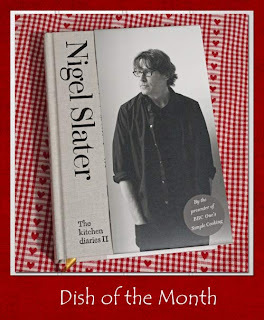 I'm cooking my way month by month through The kitchen diaries II, however you can make any dish from any of Nigel's books or use the online recipes. The full rules are shown below. 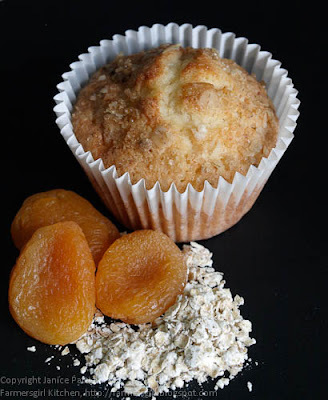 For my February Dish of the Month I have chosen Nigel's Little apricot and oat cakes which he describes as "a cake with backbone, not to mention an interesting texture which comes from rolled oats and dried apricots". 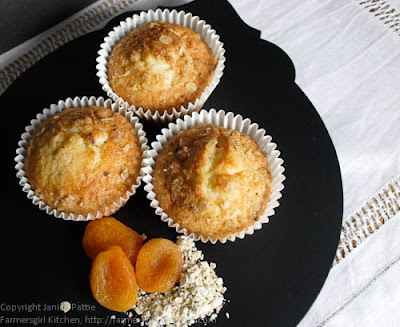 The recipe is in the February chapter of The Kitchen Diaries II and I can highly recommend these little cakes, they are proper little buns and the finely chopped apricots and peel that they contain give them a nice tangy flavour. They keep very well in a plastic container too. very nice, I had my eye on these as they can be pretty much made from whats in the store cupboards. Here's to another great month of Nigel's recipes. I've just got the book - I'm planning to read it up to the current date and then for the rest of the year read each entry on the appropriate day. I did that with volume 1 and it helped me to enjoy each entry as it was relevant to the food and climate of the date. They do look good Janice - I'd been wondering what they were like as I've been browsing my Nigel Slater books. Glad to hear they're tasty! Hi Janice, I will try and come to your Nigel party this month but if I don't I will enjoy reading what others have made. Hope you are well. Boo about your broken (chocolate) heart. Glad to hear everyone is still enthusiastic to join in with Dish of the Month. I would love to see how others get on with the Apricot Buns we were eating them all week, they were lovely. Rachel - yes it's one recipe on the linky each month, thanks. I see you have the approval of the man himself! I resorted to KD2 just this week after decided that I must, must, must have lemon curd but I wasn't going to buy any. I knew I had a Slater recipe somewhere and thought it was in one of the earlier books, so I had to work my way through the lot before I found it in Kitchen Diaries II. A bit of googling showed that the recipe was first published in the Guardian in 2010 - all the accompanying text is the same too! I tweeted Nigel after to thank for him such a great recipe and was chuffed to get an encouraging reply from him. These little buns were already on my ever-increasing list of Nigel Slater recipes to try, but now I've seen how well yours turned out I'll definitely give them a go!